Our worship reflects our belief that God is truly awesome and worthy of all our praise. Our traditional worship service draws on the rich worship practices of the Church throughout the ages and does so in dynamic and topical ways. Experience worship which is reverent and relevant. Our services are both dignified and user friendly. We proclaim God’s word revealed to us in Christ Jesus. It is Jesus and God’s word to us in Holy Scripture which answers our deepest human need, to be loved and forgiven. You will hear dynamic sermons and receive the true presence of Jesus in Holy Communion. Children are welcome and many young families enjoy the consistency of traditional worship amidst a rapidly changing world. 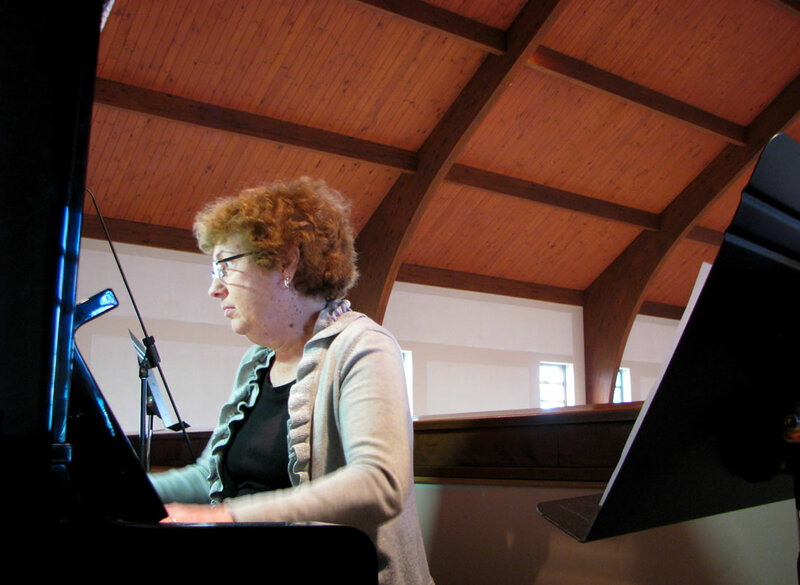 Piano music with drums is often used in place of organ music at our blended service. Our blended worship service mixes in some contemporary songs and a more abbreviated order of service while maintaining a good order that, like at first service, all can easily follow. You will still get a great sermon, Holy Communion and the full reading of God’s word, but with a somewhat more contemporary feel via our praise team and some newer songs. Children are always welcome.